1. Which blood pressure do you record? The blood pressure readings that were taken after the woman rested for five minutes should be recorded. Record both the right arm and left arm reading in the narrative notes and the highest blood pressure reading on the vital sign record (e.g., the right arm reading of 132/90). Whenever a reading is elevated, consider repeating the measurement for confirmation. 2. Is the variation between the arms of concern? The difference between the two arms is not significant. A difference below 10 mm Hg between arms is normal. 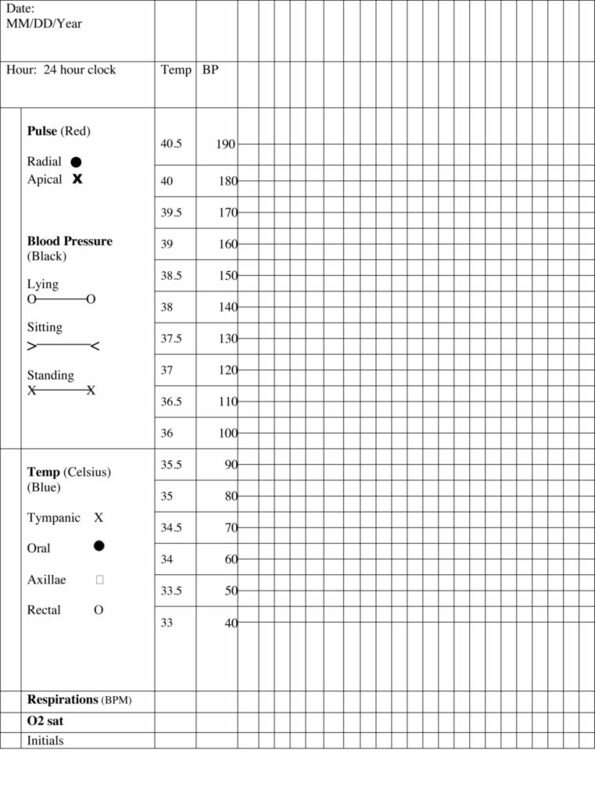 Print the blank vital sign record and document the woman’s vital signs. Then, go to the next page to see accurate documentation of vital signs.